Whilst this blog is largely dedicated to aspects of Japan that you’ll find in Japan itself, this time I’m going to write about a slice of Japan that took place in none other than Sydney, Australia this week. 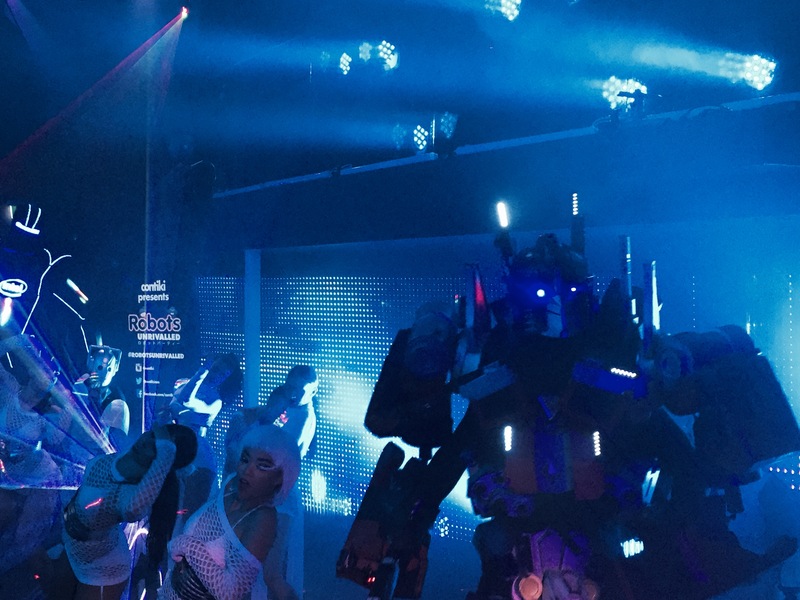 As mentioned in previous posts, travel company Contiki recently produced a show inspired by Japan’s famous Robot Restaurant. 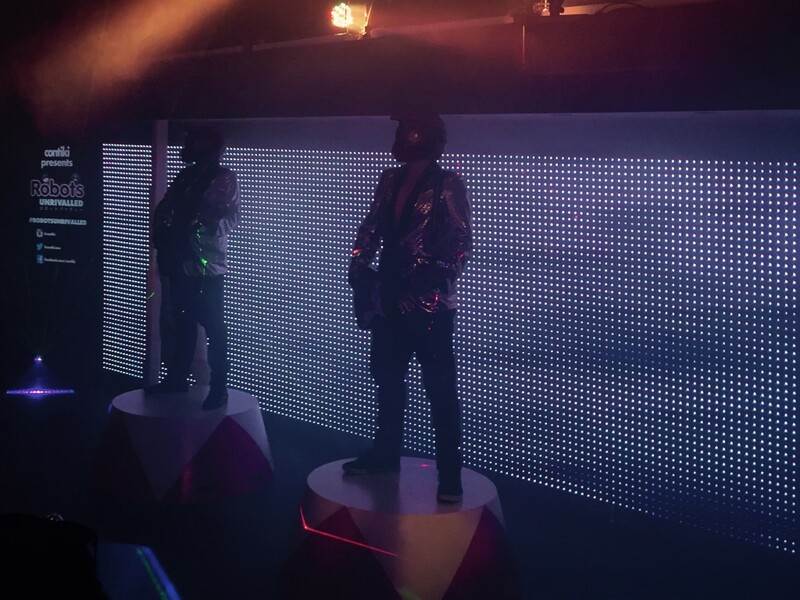 The pop-up experience, Robots Unrivalled, was to celebrate Contiki’s new 13 day tour, Japan Unrivalled. 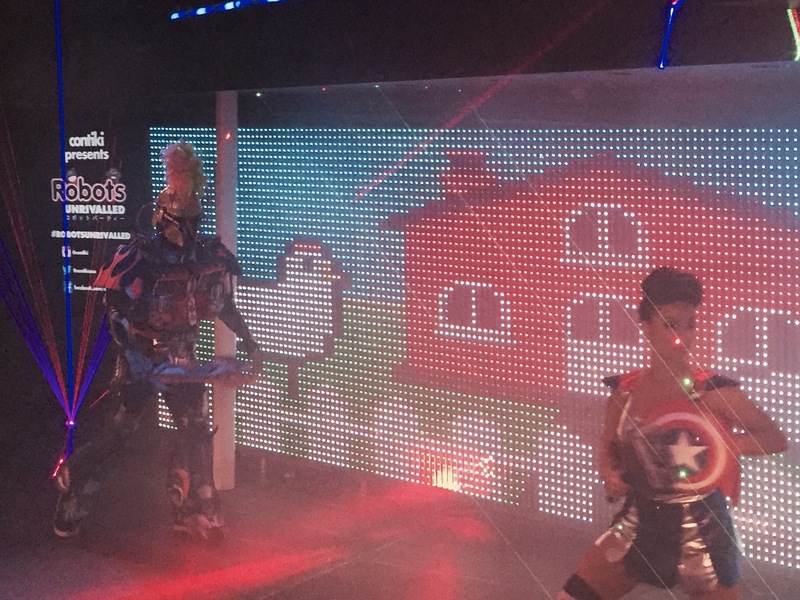 The demand was high and tickets extremely limited, so for those who missed out – and those not located in Sydney – here’s how Australia does a Robot Restaurant inspired show. Like the Robot Restaurant in Shinjuku, Robots Unrivalled began with half an hour in which to enjoy some pre-show drinks (including Japanese beer brand, Asahi). Unlike the Robot Restaurant, where you can pay extra to eat a bento box during the show, Robots Unrivalled came with drinks and canapes (or as they called it, a deconstructed bento box). Whilst neither really a deconstructed bento box nor traditionally Japanese, the canapes were great. So good, in fact, that I felt the need to position myself near the entrance to the kitchen to maximise access to the snacks. Food included salmon sushi, miniature boxes of vegetarian noodles, chicken on skewers and spoonfuls of eggplant in a sweet miso sauce. I could have eaten a whole tray of that eggplant. Miniature ice-creams were also handed out. After drinks and canapes, members of the audience were directed to find seats. 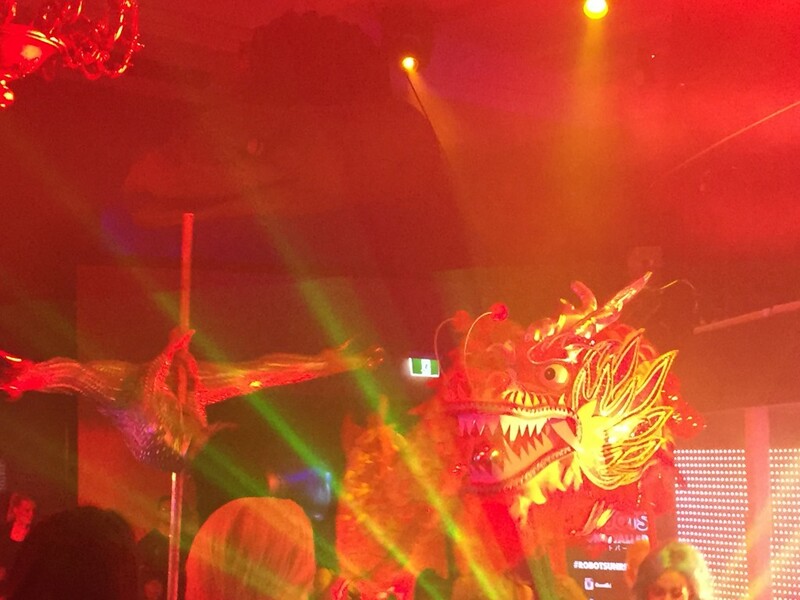 Each seat had a Contiki Robots Unrivalled bag, with promotional material, a couple of glow sticks, and – my favourite part – light up chopsticks. The event itself was run efficiently, with the show beginning just moments after everyone was seated. 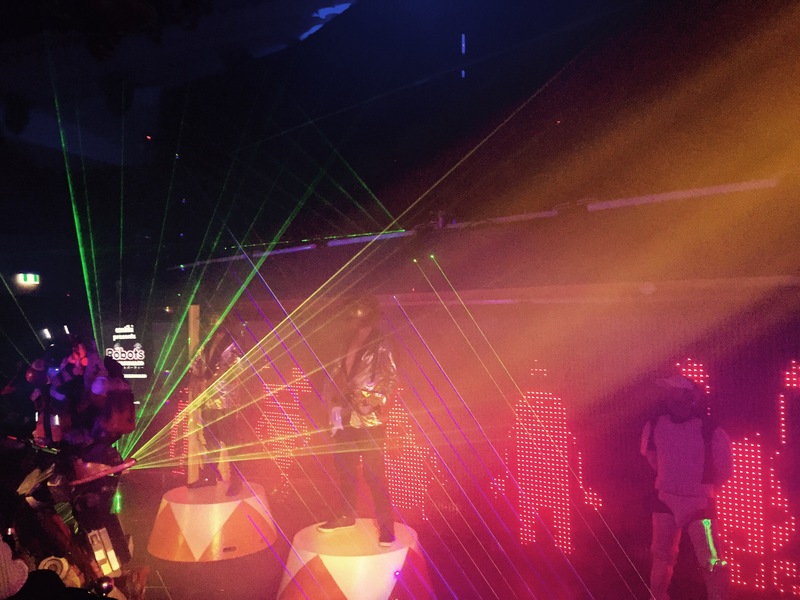 Like the Shinjuku Robot Restaurant, Robots Unrivalled began with a robot band. Well, sort of. They weren’t actually playing, but the guitarists in silver blazers still captured the idea of the robot band in Japan. They were soon joined by robots, along with a group of dancers – scantily clad girls in camouflage print costumes – on a lit-up canon. 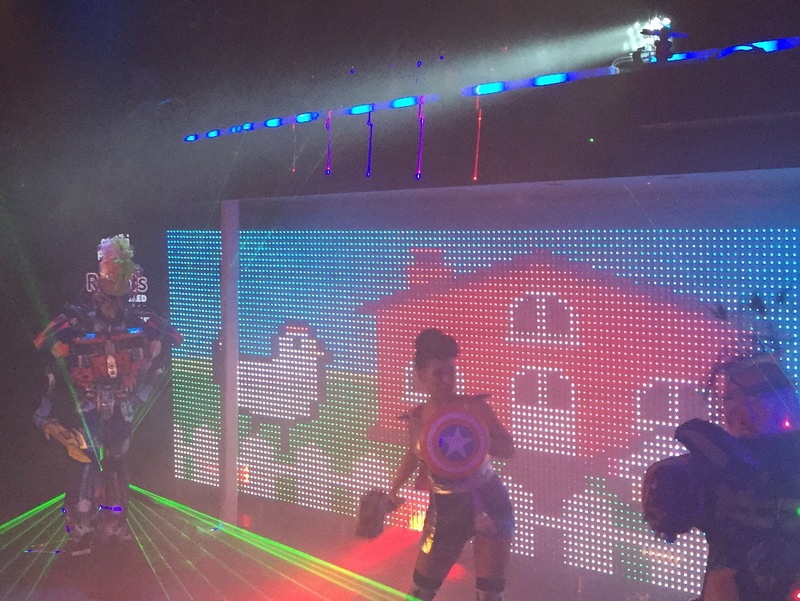 Like the original Robot Restaurant, lasers were a big part of the show. Next up, girls played giant drums in a nod to the drummers at the Shinjuku Robot Restaurant. 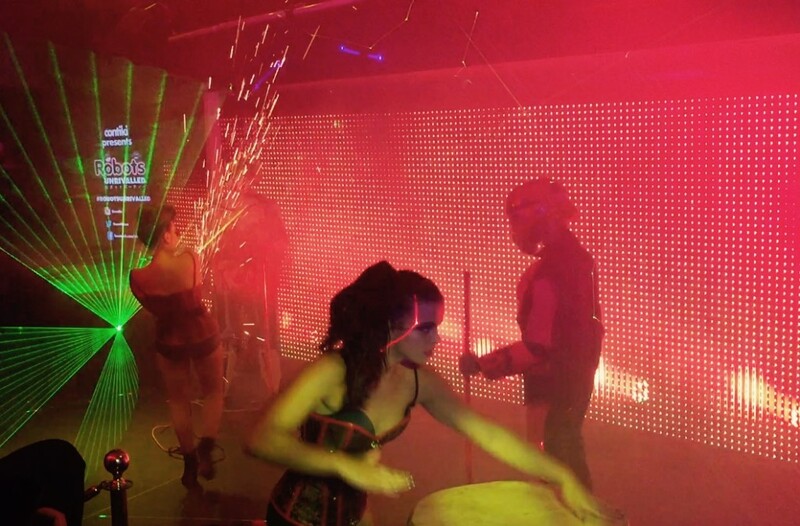 They were then joined by a dancer shooting sparks with an angle grinder as robots marched around her (you won’t see this at the Japanese Robot Restaurant!). 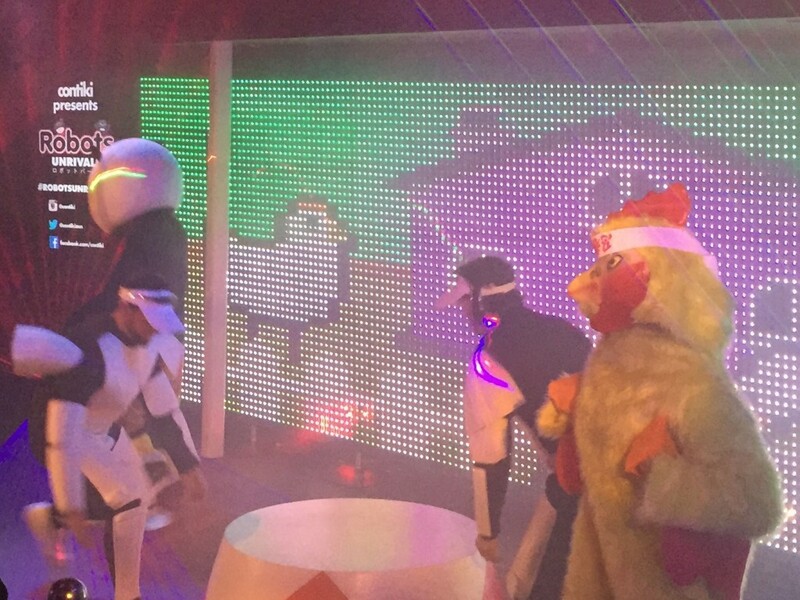 There was robot wrestling, as well as battles between robots, pandas and giant chickens. 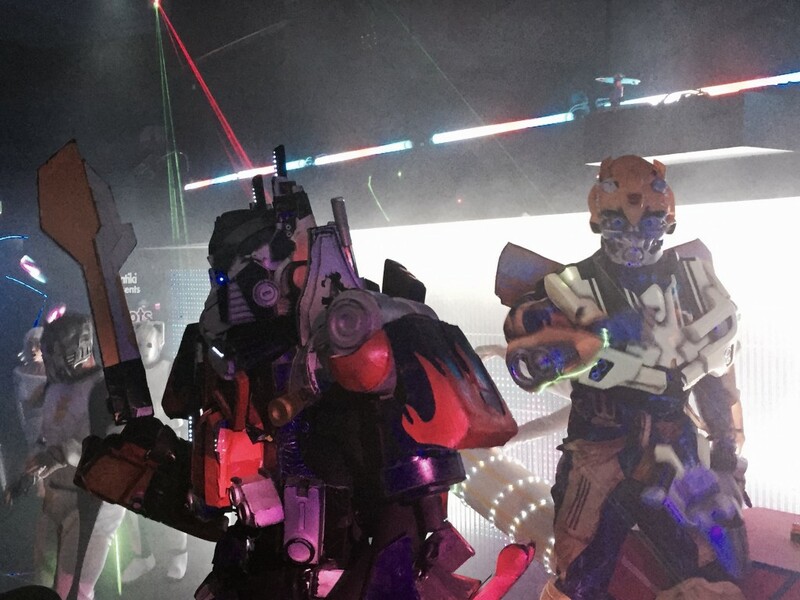 Battles between all kinds of crazy combinations are at the heart of the Shinjuku Robot Restaurant show, and Robots Unrivalled captured this well. 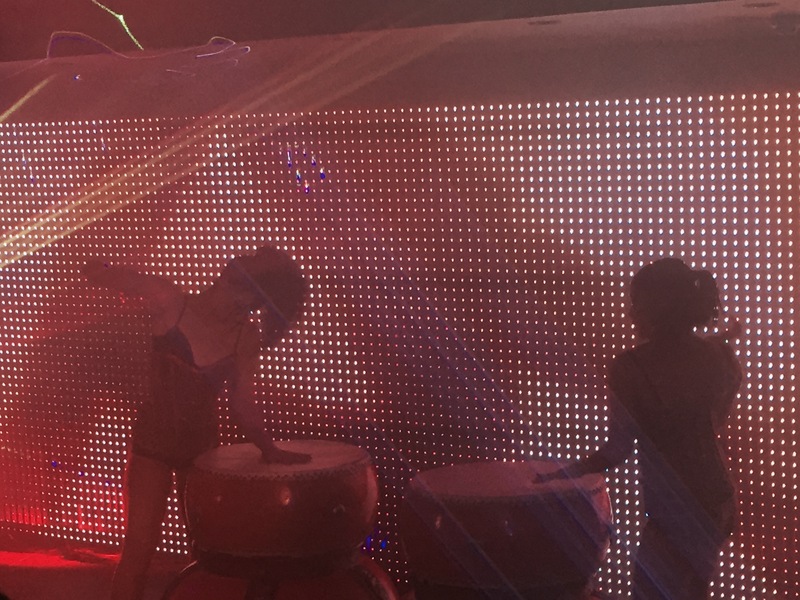 With less of an “only in Japan” feel and more of an “only in a Western take on the Robot Restaurant”, pole dancers were a big feature of the show. Pole dancers encircled by giant dragons, that is! The Shinjuku Robot Restaurant show itself features a giant dragon. Along with the dragon, familiar scenes from the Robot Restaurant back in Japan included horses. In Shinjuku you’ll see girls singing as they ride giant silver horses made of fracture mirrors. Mostly, there were plenty of robots and even more girls. 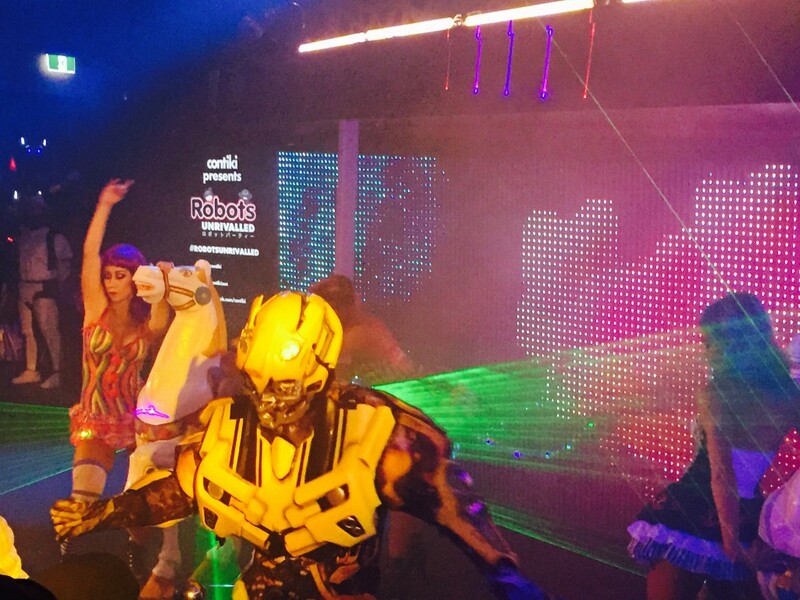 The robot:girl ratio was definitely on par with the Shinjuku Robot Restaurant. 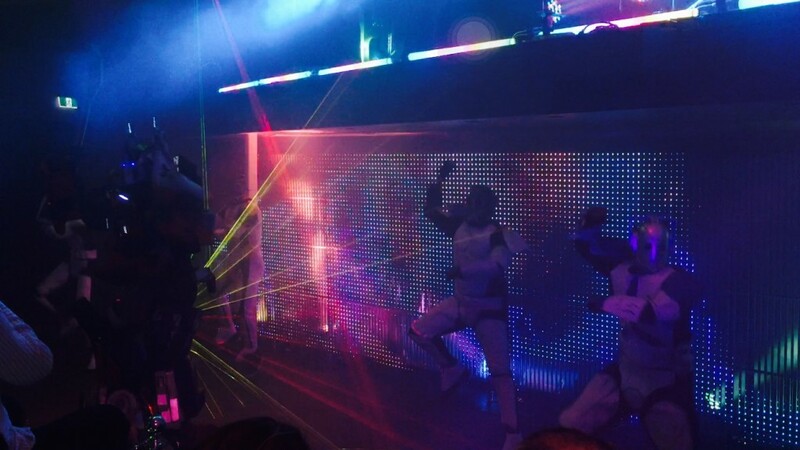 Toward the end of the show, we were treated to robots dancing to Gangnam Style. Sure, it’s not a Japanese song, but the Shinjuku Robot Restaurant does not restrict itself to Japanese music either. 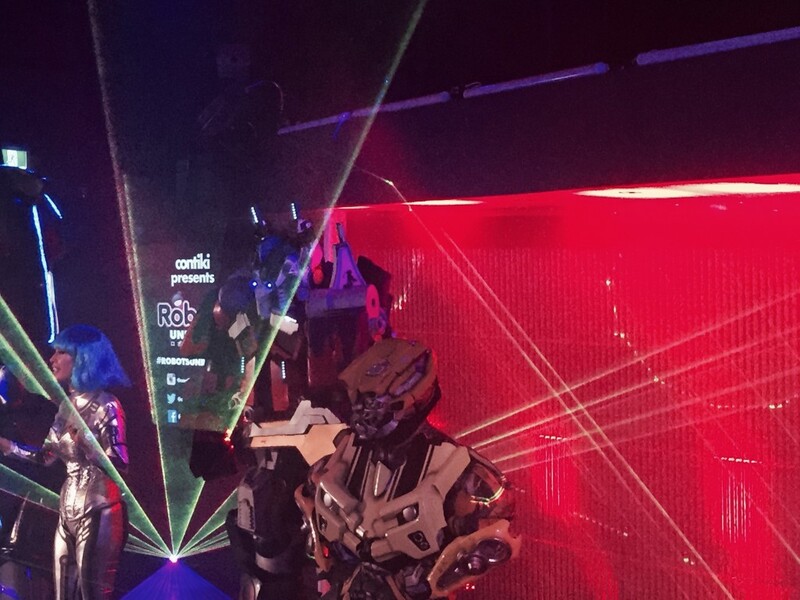 And regardless of the theme, what better way to end a show than with robots dancing to Gangnam Style? They may not have been real robots, but Robots Unrivalled featured some incredible robot costumes by Melbourne Transformers (extremely impressive Transformers cosplayers from Melbourne). They’re surprisingly convincing, even when you’re standing right in front of them. Like the Robot Restaurant, Robots Unrivalled came with the opportunity to pose for a quick photo with the robots at the end of the show. And just as quickly and efficiently as the show started, it was over in thirty minutes (a crazy, action-packed thirty minutes). 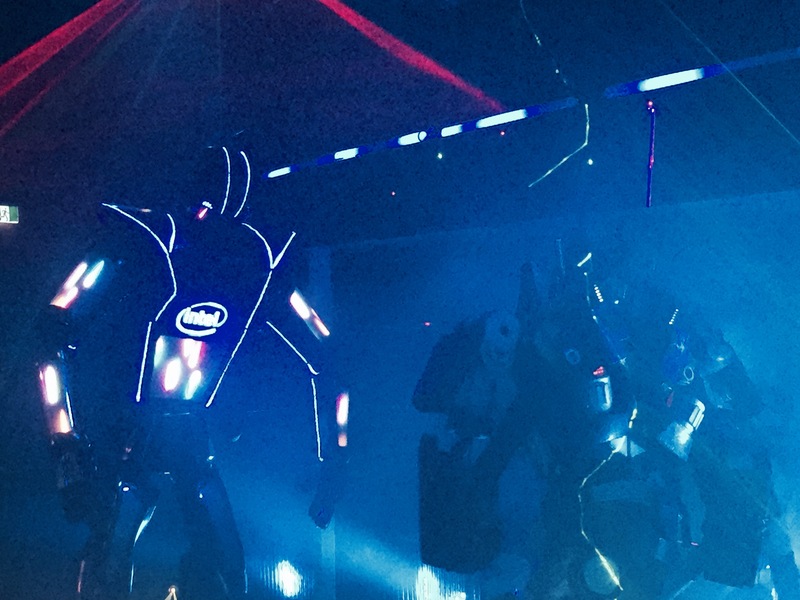 To clarify for anyone who might be wondering, Robots Unrivalled was not the Japanese Robot Restaurant show, and did not feature props, performers or anything from the Shinjuku venue. 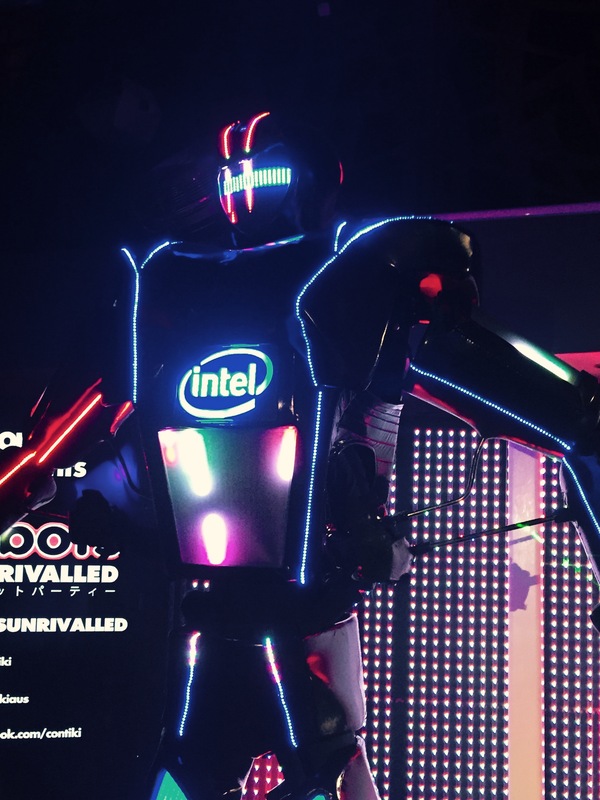 Robots Unrivalled was produced by Contiki and inspired by the Robot Restaurant. I have to hand it to Contiki for the great marketing idea. As a DIY traveller, I’m not sure whether I would have found out about Japan Unrivalled if not for their Robots Unrivalled shows. Contiki’s Robots Unrivalled stunt itself proved immensely successful in drawing attention to the tour, and the show was a fun take on the Robot Restaurant theme.